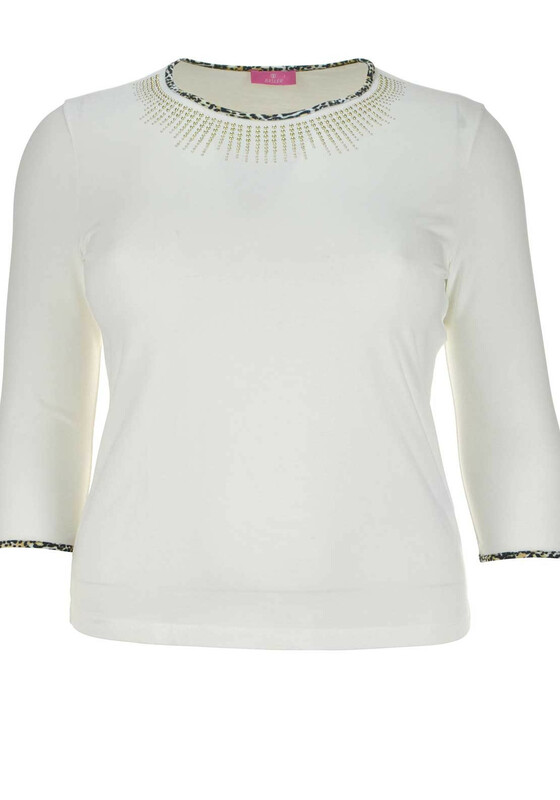 Basler presents this stylish white cropped sleeve top which could form the foundation for a variety of work or off-duty looks. 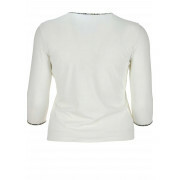 Styled with a classic straight shape and made from soft and comfortable cotton rich jersey fabric. 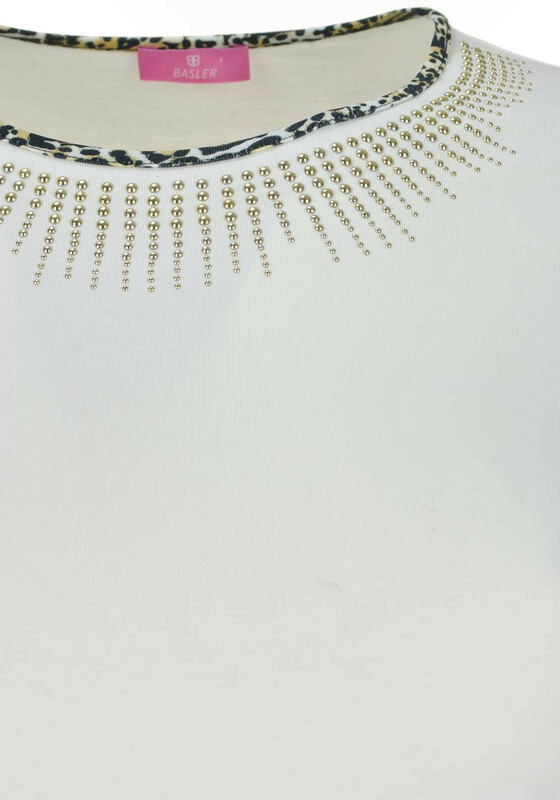 Finishing touches include gold coloured embellishment and leopard print trim at the round neckline.